Let the Luxury Therapeutics Soothing Neck Cozies pamper you in luxury. These neck cozies are available in an array of plush luxury fabrics. 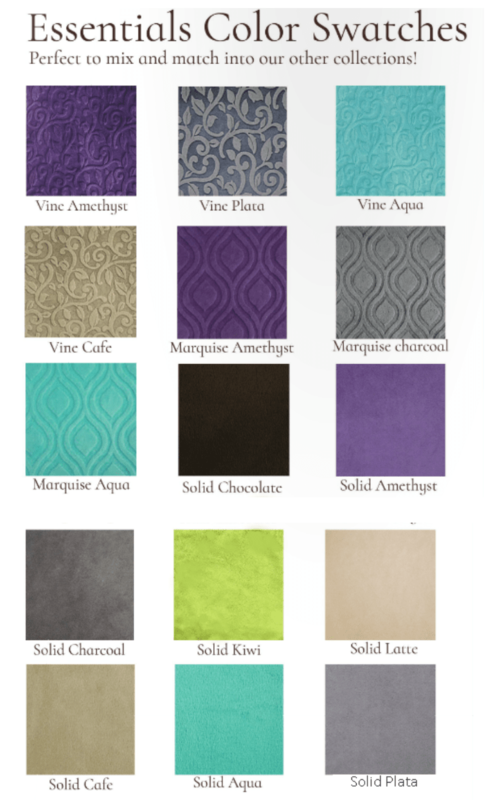 Choose from Vine, Marquise or Solids. Note: Color Marquis Aqua has been discontinued. Luxury Therapeutics, a woman-owned manufacturer of hot /cold therapy bags in Western North Carolina, is the creation of co-founder Debra Green and her mother, Karen Kneeland. As a long time fibromyalgia sufferer, co-founder Karen, has used organic heat and cold therapy for years. She is responsible for the design of the products, using her experience and remarkable sewing skills to create superior quality therapy relief products that have gained a loyal following.